Breaking News: Thanks to the feedback given by all of you. 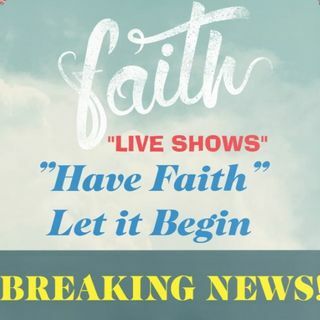 We at Have Faith Let it Begin have decided to have More Live Shows!!! Please Subscribe and keep an eye out for Live Shows that will air on Tuesday, Wednesday and Thursdays. This should all begin on Jan 29th. Subscribe to our like page on Facebook. We are also getting ready to Launch our own website. Welcome... My name is Angel and this is Have Faith Let it begin. This show is designed for the daily commuter. I plan to fill your daily ... See More commute with inspiring, motivational stories. Every Monday-Friday I will have a new episode.